So, some of you may tune in because you know me. You want to know what is “really” happening behind the annoyingly, seemingly-perfect Facebook posts, the conversations, the face-to-face interactions when you walk away seemingly thinking, “Jess is doing REALLY well.” Not. So. Fast. 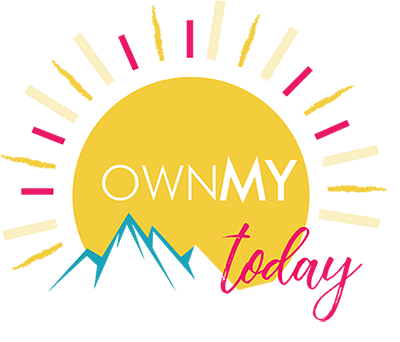 This is an invitation for you to join me on this “OwnMy Today” roller coaster. Yes, there are moments of feeling incredibly low, but there are some amazing highs as well… and the beauty is all in the ride. You will get to see it all (believe me, I have pics of mascara streaming down my face) and maybe learn thing to two. Others may want to engage with this blog because, I am a bit of a hot mess… and there actually may be an entertainment factor. I have crazy stories that are all over the board. I give you permission to have fun and enjoy it! Yes, have fun with OwnMy Today, even though it is about WIDOWHOOD. I know, that is unexpected and may put you a little out of your comfort zone. Yes, folks… that is what this is ALL about.